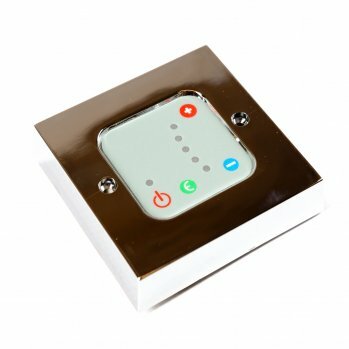 The DWPC800 Digital Wall Plate Controller is designed for the control of standard RICA towel rail elements output, enabling thermostatic management of towel rail surface temperature. The Controller has full compliance with all current UK and European norms, and is designed and assembled in the UK. The DWPC800 also includes an ECO button to allow energy saving and convenient pre-set of power output for 2 hours.